How do I buy a System4 Franchise? Become a sales and logistics partner with System4. Join the System4 franchise team; a nationwide presence with operations in 27 markets. Collectively they service 7,500 customers through a network of service providers. Save customers time and money by managing all their indoor and outdoor services for facilities. Open System4 in any of these available states: AK, AL, AR, AZ, CA, CO, CT, DC, DE, FL, GA, IA, ID, IL, IN, KS, KY, LA, MA, MD, ME, MI, MN, MO, MS, MT, NC, ND, NE, NH, NJ, NM, NV, NY, OH, OK, OR, PA, RI, SC, SD, TN, TX, UT, VA, VT, WA, WI, WV, WY. System4 is a sales and service logistics management company. Managing facility services can be time consuming and take time and effort away from business and other important responsibilities which clients may not have. 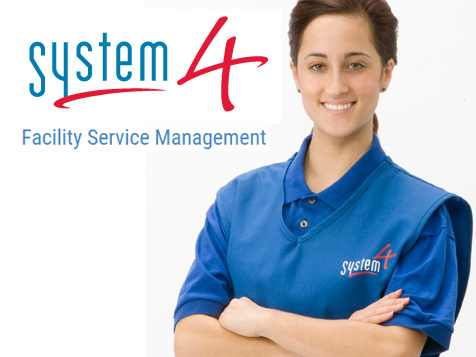 System4 manages all types of indoor and outdoor services for clients and acts as a personal management company. Clients can bundle services and see great savings. Master Franchise Owner - manage and operate a facility service management business in major markets across the country. Facility services of some type are utilized by virtually every business you see. These include inside services and outside services. Local Franchise - operate a commercial cleaning business that may also provide additional facility services. Local Franchise Owners may already have their own customers and desire to increase their business through our local franchise. Or, an entrepreneur may desire to start a System4 franchise. The beauty of the System4 franchise is that you can choose to either service System4 customers or service your own customers. 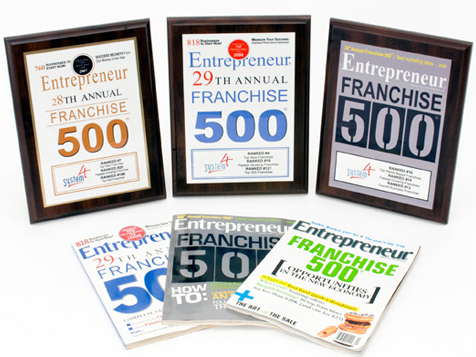 Local franchise packages vary by market. Only available in certain markets. Local Affiliate - increase your customer base with additional customers from System4 and expand your existing business to include the facility sales and logistics provided by a System4 franchise. Training is provided using our proprietary web-based suite of software called SMARTS which will support you in operating your business. System4 opportunities are an excellent fit for the experienced business professional looking for an environment that offers the freedom to manage and grow a profitable operation, and the support of a highly sophisticated business model that guides you every step of the way with hands-on training, proven systems, and dedicated, user-friendly technology developed specifically for our needs. Previous experience in the facility service industry is not a requirement. Complete the inquiry form so we can talk and see if the opportunity is right for you. Please note: We do not try to sell you on the spot. At System4 we want you to understand the benefits of our franchise so you can make an informed decision. System4 is not currently active in our directory, but here are some other recommended selections for you to explore.